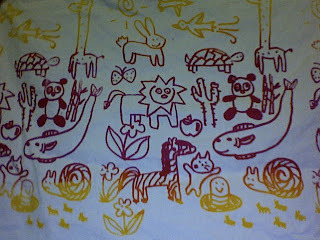 I am learning to screenprint, and this is my first attempt at printing fabric. I was at an Ethiopian restaurant with friends, and the service was a little slow. 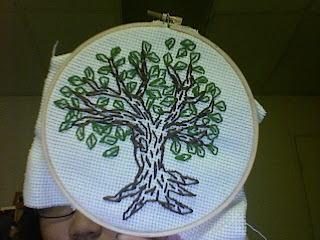 I had time to get embroidering, and that's what I did! I wonder if I should add a birdie or two? When my boyfriend was in Paris, I was lonely so I watched daytime television and sewed me things. I made a carrot named Carro, a strawberry named Strawbz, and the needlebook is just a needlebook. They are all made out of felt and embroidery floss, except for Strawbz because it has small beads all over the place. The beads were so small that I had hard time getting the needle through them. I am happy with the result. 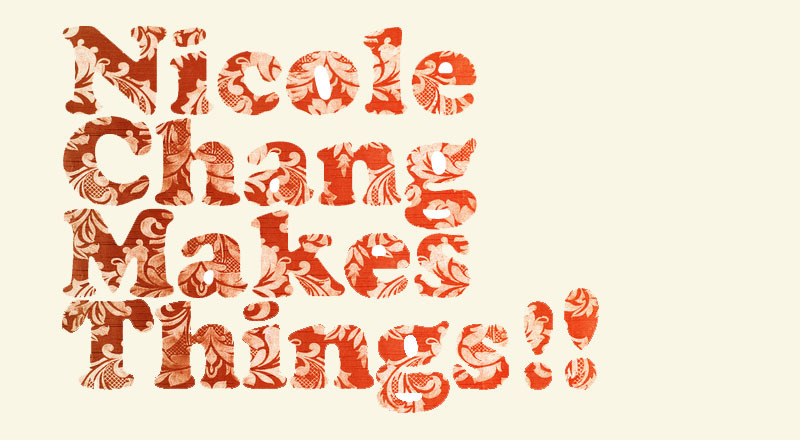 I am going to document my craft creations, collabos, and crazy cuties on this blog. My bestfriend Ali and I decided to craft every Wednesday night, and last Wednesday was our first. Here is the outcome. I made a flower, and her name is Flora. Ali made a hand, and I made the watch for it. 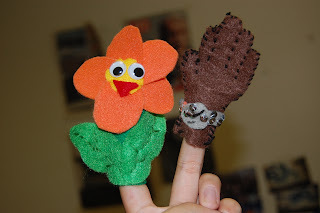 We love finger puppets.